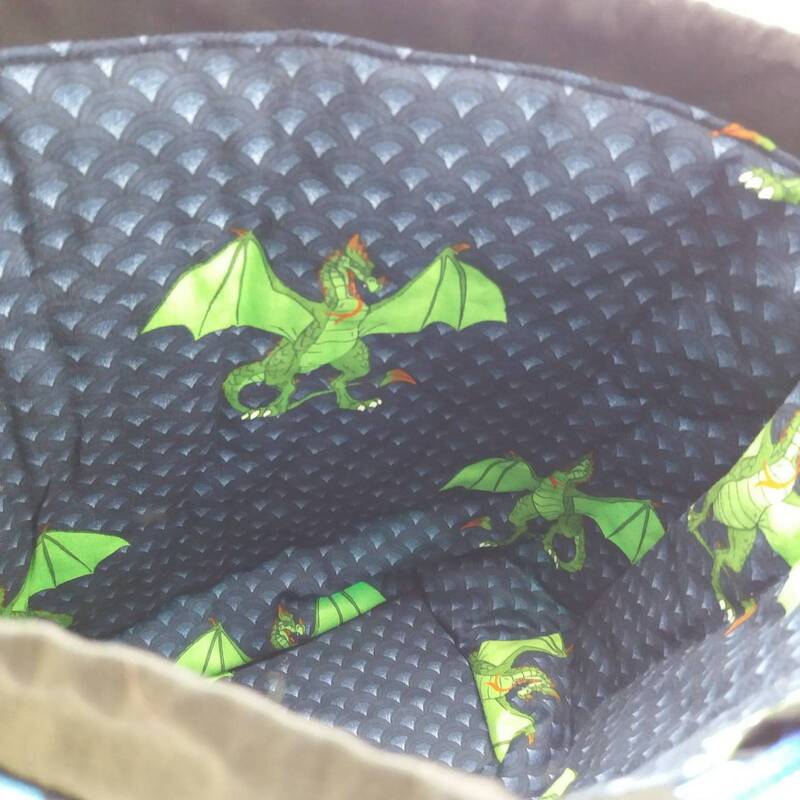 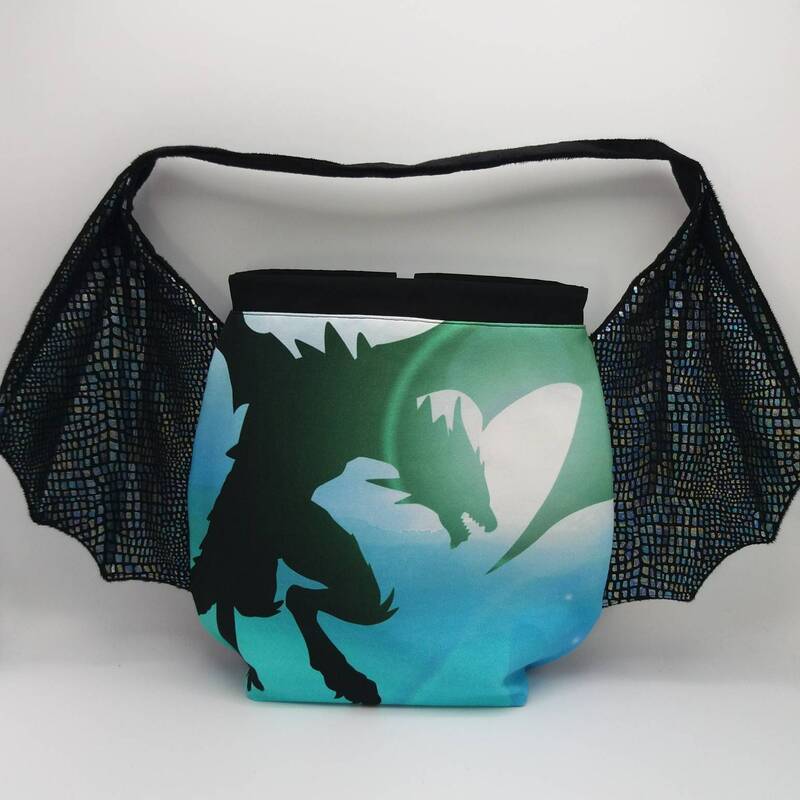 The bag remains fully functional as always with a smooth cotton lining, but the Dragon Wing handles really change the look. 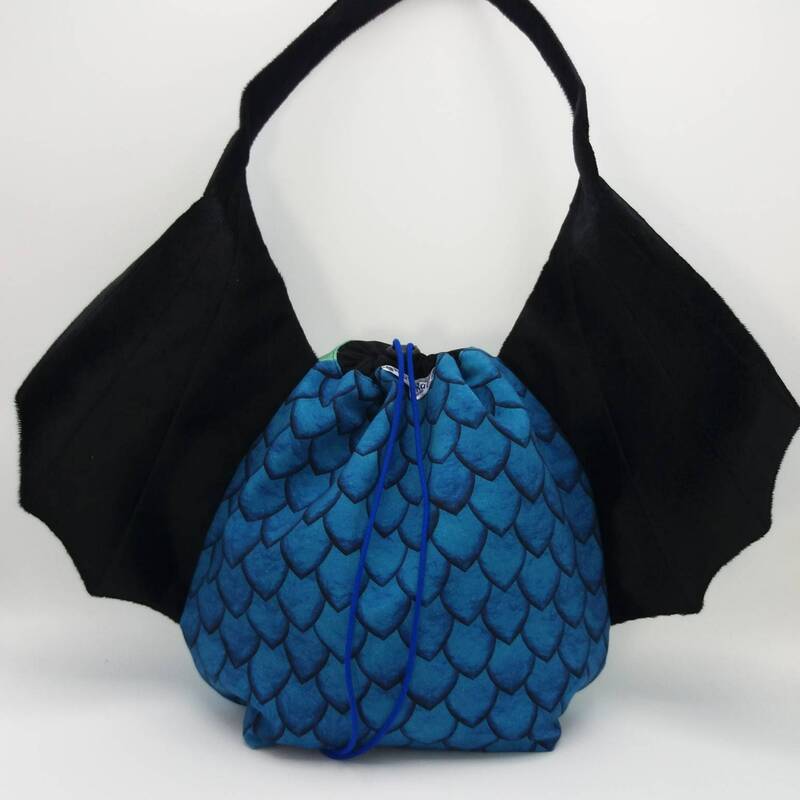 If you fold the shoulder strap one way, the wings open out, flip the strap over and the wings fold in, wrapping round the bag. 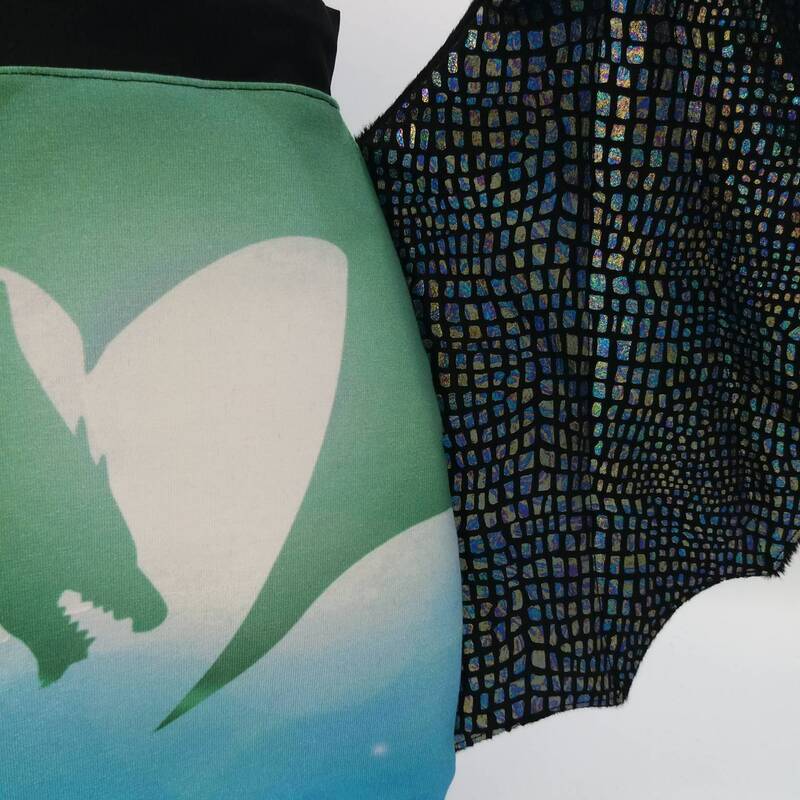 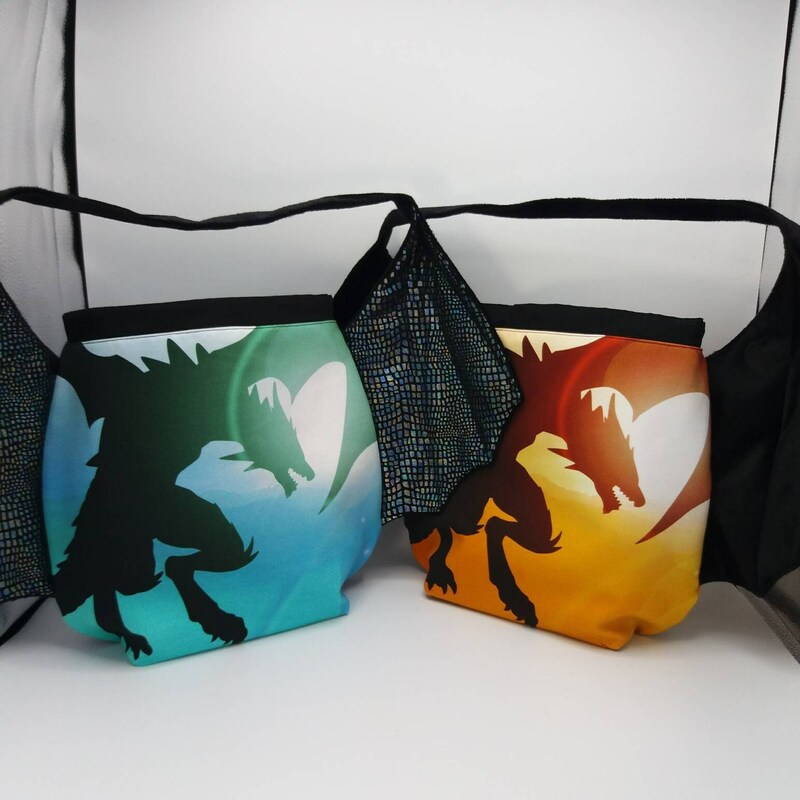 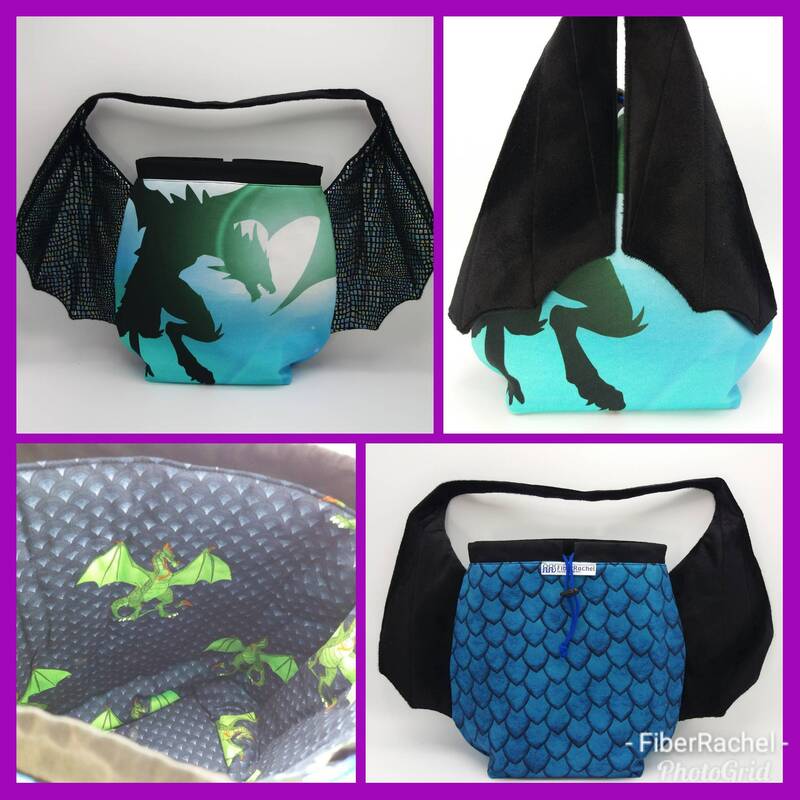 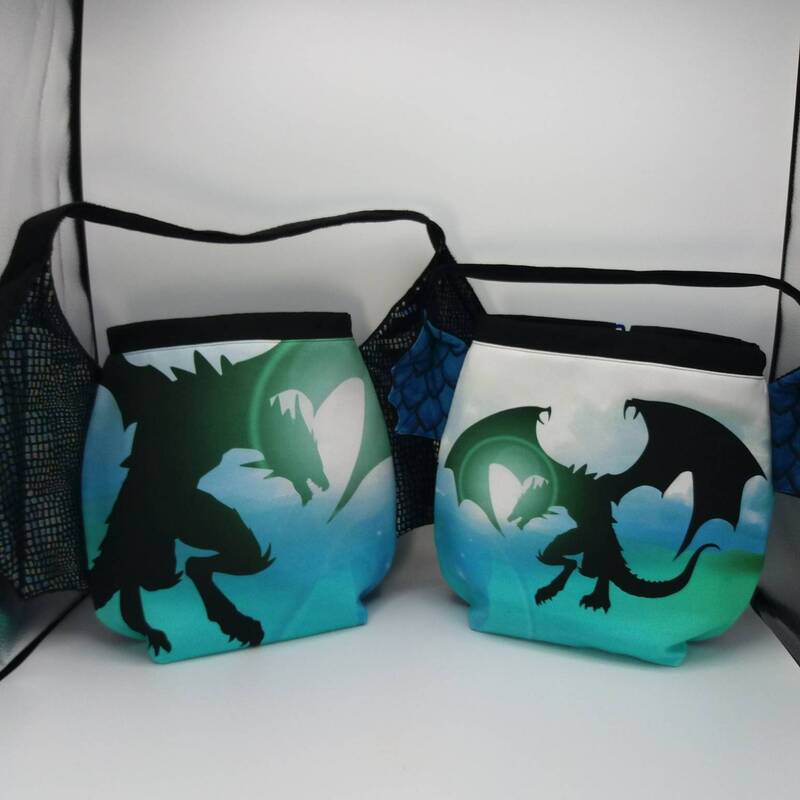 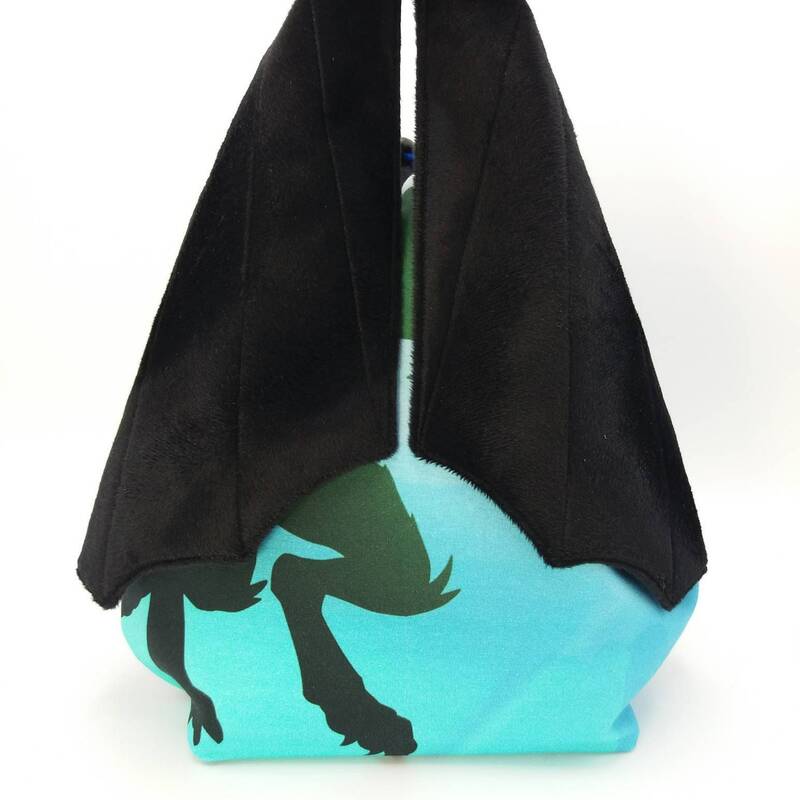 The Dragon Wing bag XL is a fabric drawstring bag with a sturdy cord and stopper, handle, lightly interfaced and fully lined. 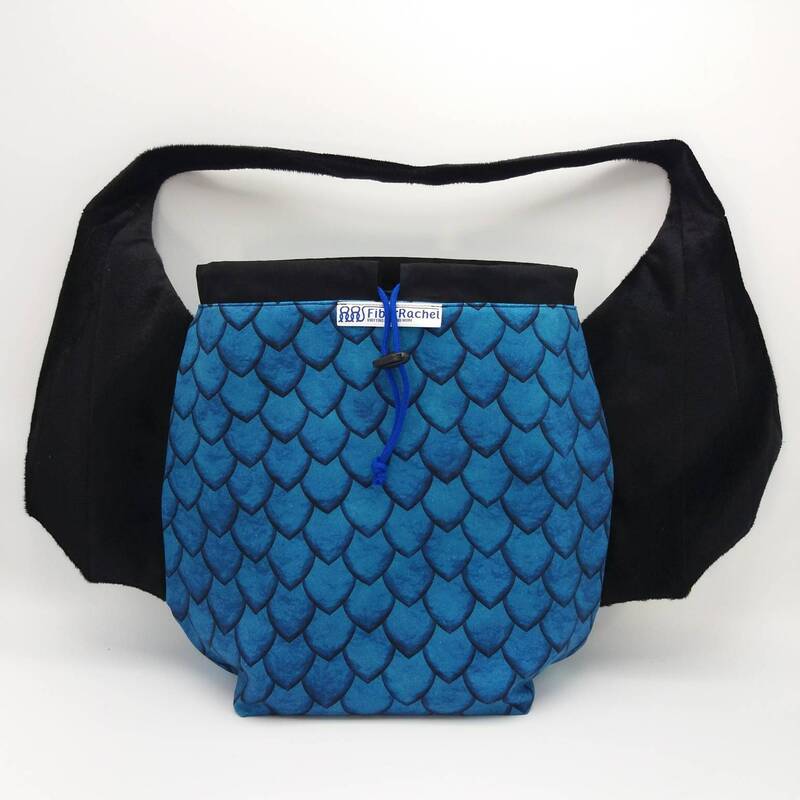 Especially suited for knitting or crochet projects using 6-7 skeins of yarn, like sweaters or large shawls. 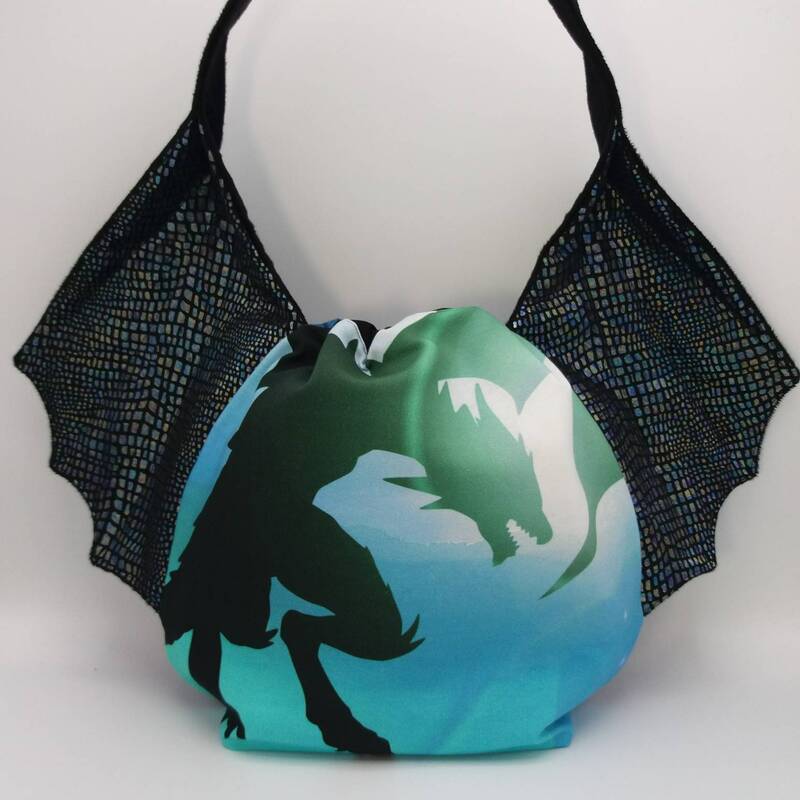 The bag can be stored flat but due to it's construction it can also stand up free when in use, the wings do make it a bit top heavy when empty.